The Clarion is out ! The Clarion, the newsletter of our Toastmasters district (District 59 – continental Europe) is out. You will find an interview of Pat Johnson, the Canadian worldwide president of Toastmasters International, an article about the why, what and how of leadership, as well as some pictures of the latest district convention in Lissabon. A really interesting edition ! Our next officers training will take place in Mainz at the Restaurant Extrablatt (Bürgerhaus Mainz-Lerchernberg – Hebbelstrasse 2, 55127 Mainz) on January 22nd 2011. The training is offered in English and in German. Christmas party: location change ! The location of our Christmas party must change. It will now take place at the IBM Klub, Schönaicher Str. 216 in Böblingen, where our usual meetings take place !! The Christmas party will start at 7:30PM. See you Thursday for a great Christmas party! Stuttgart International Toastmasters Club Christmas party! 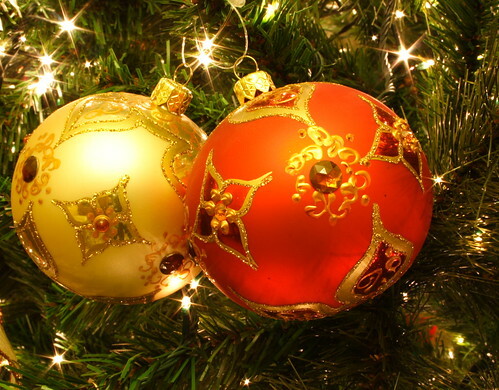 The Christmas party of the Stuttgart International Toastmasters Club will take place on Thursday, December 16th. This will be a social event to celebrate and get together. Table topics will be organized but there will be no prepared speeches. This will be a dinner event, but we will be ordering food from the IBM Klub Restaurant. We will be meeting in our regular meeting room to accommodate as many people as possible, but we will try and rearrange the tables so that it is more compatible to a dinner type of event. – invite guests ! This is a wonderful opportunity to discover the club for newcomers ! – we would also like to continue with the “White Elephant” gift exchange that was already organized last year. These type of gift exchanges are always a lot of fun, and most often you end up with something you like. If you don´t know what a “White Elephant” gift exchange is, come to the meeting and find out. For those who would like to participate, bring a wrapped, inexpensive gift (7-10€). If you do not want to participate, that is ok too. Our club was mentioned in an article of the “Stuttgart Citizen” about communities in which people can get involved in the Stuttgart region. Thanks to Howard, our former Sergeant at arms for having advertised for the club !